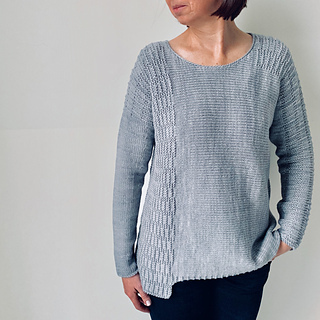 Kago is a sweater, worked sideways and seamlessly from sleeve to sleeve. 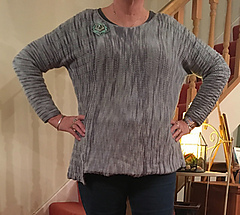 It features two textured panels, one on the left sleeve, and another one looks like you have thrown over a scarf, that is slightly longer than the rest of the body. The invisible side seam and the fine edging along the neckline give Kago a sophisticated look. Knit with a DK to worsted weight yarn, it is a quick knit and the construction keeps you entertained throughout knitting. 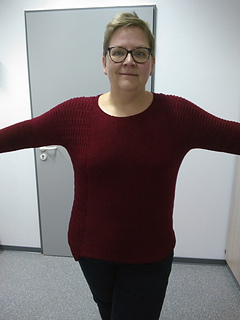 Note: Due to the construction, the body and the sleeves have different gauges. To choose your needle size, go for the numbers for the sleeves. 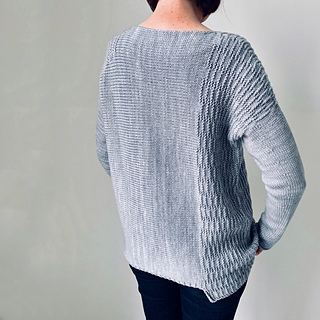 The textured pattern has a lower row gauge before washing and blocking, but when washed and blocked it is similar to the stockinette one. 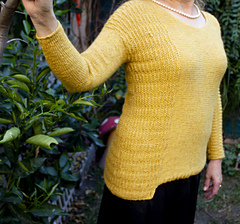 This sweater is designed to be worn with 8–18 cm / 3¼“–7” positive ease. 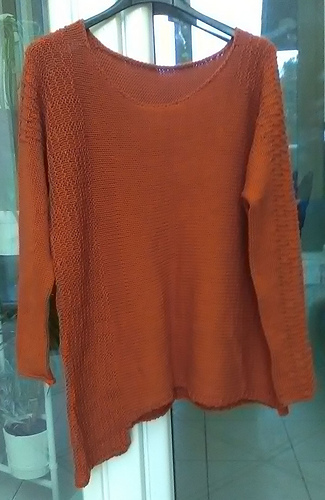 Sample is shown in size S in colorway Star. Thanks to Michelle for your trust and collaboration.